Please submit cover letter, résumé and at least 3 references to our candidate portal at http://seiuunitedhealthcareworkers.appone.com/. Service Employees International Union-United Healthcare Workers West (SEIU-UHW) is one of the largest unions of hospital workers in the western United States, with 90,000 members. Our members are frontline caregivers, including respiratory care practitioners, dietary, environmental services and nursing staff who keep Californians healthy. We live and work throughout California: from the Bay Area to Sacramento and Los Angeles to the Central Valley. Our union of healthcare workers is driven to improve the healthcare system. Our mission is to provide quality care for all patients, expand access to excellent, affordable healthcare for all Californians and improve living standards for all workers. 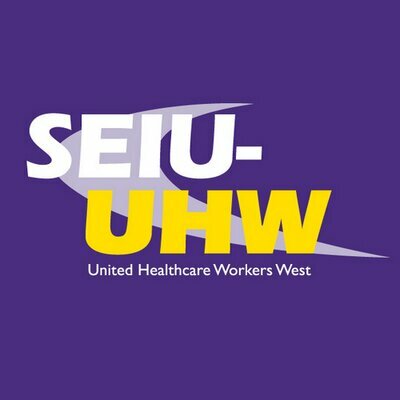 The majority of SEIU-UHW members work in the state’s largest private sector hospitals and clinics, including Kaiser Permanente, Dignity Health, Sutter Health, Tenet, Prime Healthcare and Verity Health.